In the Hollywood of the late 1950s, if your name was Clark or Frank and you wanted to make a splash, you bought a Cadillac Eldorado. And not just any Eldorado: it had to be the exclusive, hand-built Brougham. From the quad headlights to the outrageous tail fins, the Brougham just oozed style—and wealth, since it cost even more than a contemporary Rolls-Royce. Fabulous as the Brougham may be, it’s not an obvious inspiration for a bike build. 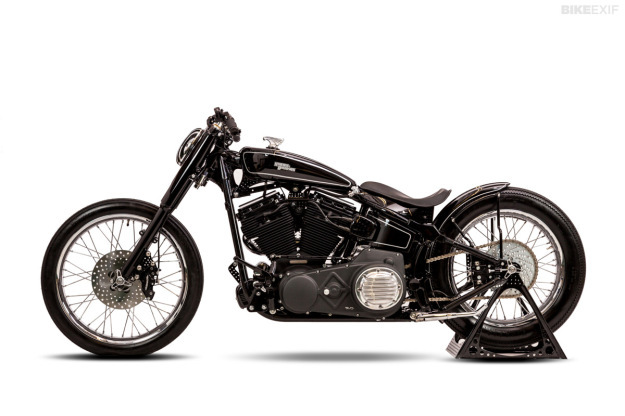 But this Softail custom is one of the sleekest, classiest Harleys we’ve ever seen. It’s the work of German engineer and master craftsman Julian von Oheimb, who runs a shop called One Way Machine. And when he saw Clark Gable’s Brougham twenty years ago on a trip to the USA, the experience stuck in his head. 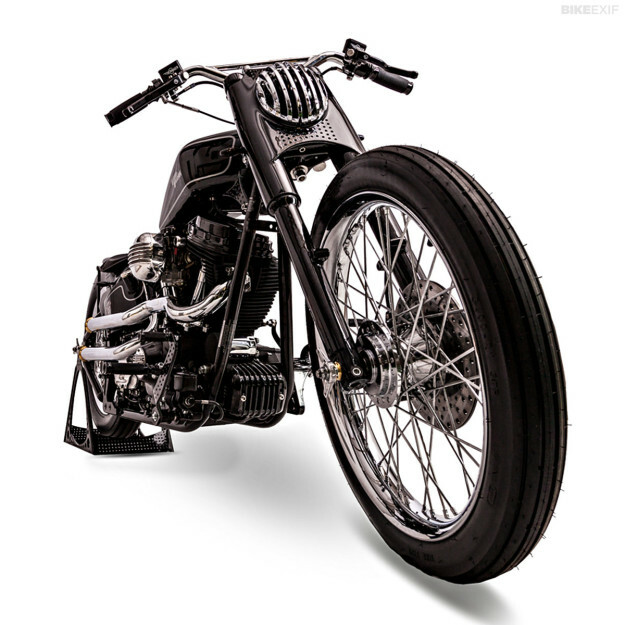 Von Oheimb has been steadily picking up awards around Europe, and he’s just won the ultimate accolade for a V-twin builder—the Modified Harley-Davidson Class at the AMD World Championship. 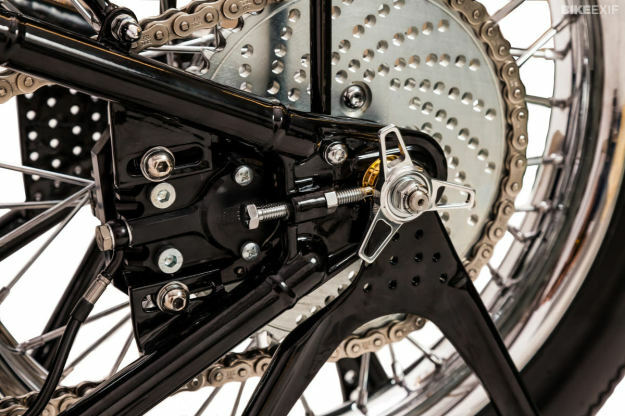 By show bike standards, his builds are unusually practical too: “Modern customers are looking for authentic, credible and easy-to-ride bikes,” he says. “The times are over for excessive, hard-to-ride trailer queens.” And amen to that. Most owners would start a regime of polishing and maintenance to preserve such an unmolested bike, but von Oheimb had other ideas. 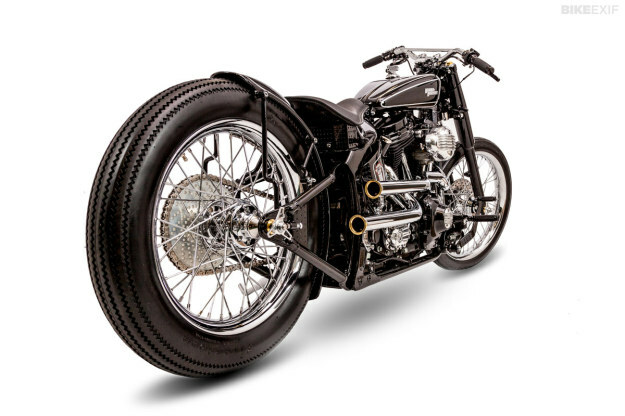 In his Staufenberg workshop he stripped the Softail down to the essentials, cleaning up the frame and the swingarm, and installing modified Dyna forks. The engine and transmission have been refinished with new cases and black paint, adding to the vintage vibe. 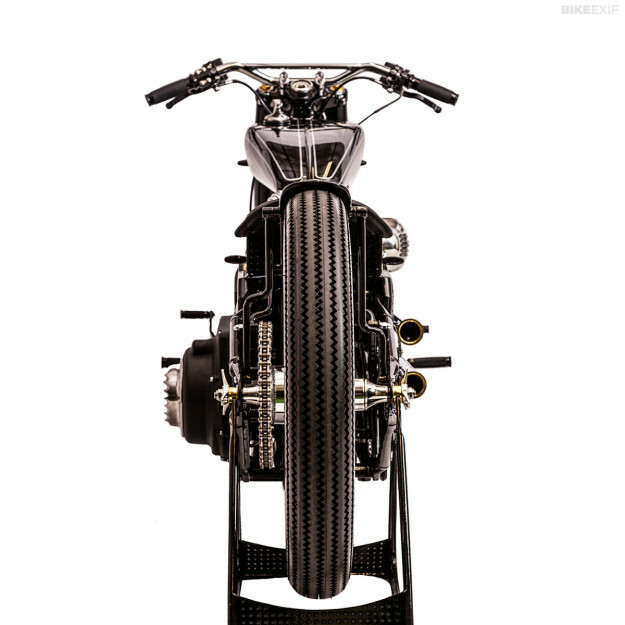 The custom oil tank could be a straight lift from a pre-WW2 bike. Von Oheimb’s choice of fuel tank is inspired. The stock Softail Deuce tank is pretty sleek by Big Twin standards, but it’s no match for a 1930s DKW tank. 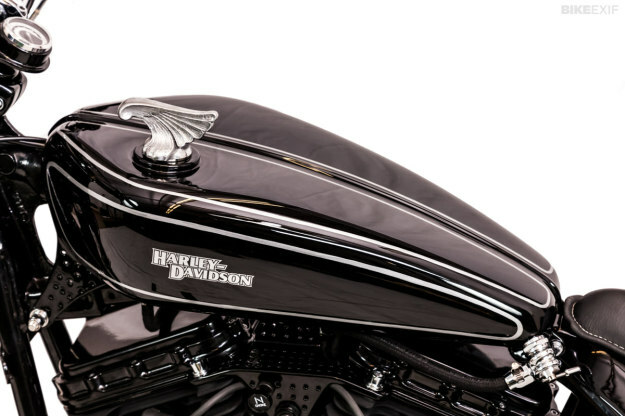 The tank was completely remodeled to slip over the Softail frame and to create a remarkably low profile. It’s topped off with a vintage car hood ornament that does double duty as a filler cap. The upper visual line of the Brougham defines the bike. It segues neatly from the compact tank into the solo seat, and then terminates right above the back axle, with a delicate custom fender held in place by slim vertical struts. The lower visual line comes from a pair of straight-shot custom pipes. 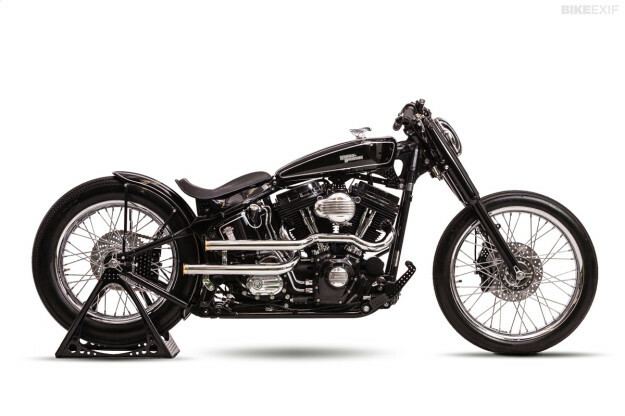 There’s a small supporting cast of aftermarket parts: Harley’s own smooth-laced wheels in 21” and 19” fitments, Beringer brakes, and an air filter and ignition cover from Mooneyes. The pulled-back bars are a One Way Machine product, already available for order in either black or chrome. It all hangs together immaculately: there’s a place for everything, and everything is in its place. Few custom builders understand the power of restraint, especially when aiming for a trophy on the show circuit, but von Oheimb is the exception. His Softail is simply a masterclass in modern-day custom Harley building. One Way Machine website | Facebook | Images by Steffen Theis.